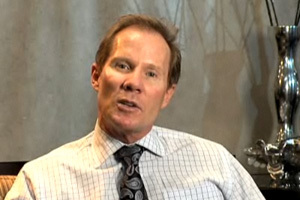 In this program, Dr. David Hornbrook discusses how he handles the new patient experience. He will reveal how you can make minor changes at little to no cost that make a big impact on your overall patient or customer satisfaction. How important is customer service in dentistry? Do I need a "spa" type of practice to offer cosmetic dentistry? What is the best way to great new patients? These are some of the questions you may struggle with as you try to "define," your practice. Make no mistake, your practice has a reputation and if you do not know what it is, you may be surprised to find out what others are saying about your office. From the way you answer your phones to what type of literature you have in your reception room, little things make a big difference. Even the way you describe your reception room is important, is it a "reception" room or a "waiting" room. In the last segment of this course, Dr. Hornbrook will also review how he makes digital photography easy to incorporate into a routine. Describe how the atmosphere and attitude of the office impact the experience of the new patient. Define the role of the patient coordinator and receptionist in the new patient experience. Understand how important digital photographs are to the lab and how you can improve the quality of your photographs. I. Creating value for the new patient. II. What influence does the atmosphere and attitude of your office have on new or potential patients. III. Implementing simple changes for a significant impact. IV. The importance of digital photography. V. Making digital photography easy.